This post is about the third of seven principles of magic that were laid out in The Kybalion. You may wish to read the principles of correspondence and mentalism. The differences between physical matter, energy, and spirit are the level at which they vibrate. Physical matter is dense and has a low vibration, the Universe vibrates at an infinite level, and in between there are innumerable degrees of vibration. The cool thing about this principle is that Modern Science endorses it, and new scientific discoveries tend to verify it. Yet, the Masters of Ancient Egypt outlined this Hermetic Principle thousands of years ago. What else might remain undiscovered by Modern Science? It’s exciting to think about. Okay, but what do you mean when you say vibration? In this context, vibration is related to the atmosphere of a place, a person’s emotional state or the associations of an object, as communicated to and felt by others. Have you ever met someone and felt attracted to them because you felt "good vibes"? Conversely, have you ever felt uncomfortable around someone because of the negativity that surrounded them? We all contain energy and spiritual vibrations. 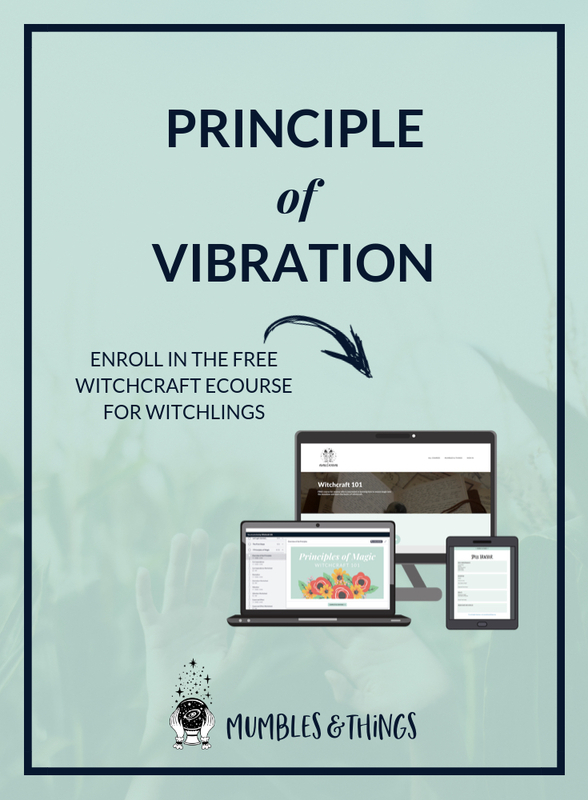 Part of Witchcraft is understanding these energies and learning how to work with them. How do I use this principle? The first thing you want to do is figure out how being, doing, or having your goal manifest (or come true) is going to make you feel. Find a special journal: it doesn’t have to be expensive, it can be one you already have, it can be leather-bound or a spiral notebook, it doesn’t really matter it just needs to be empty. This journal is where you’ll keep a record of every spell you perform and how you feel when it works. Sign up below to receive a FREE worksheet and give you an idea of how to set up this tracker. Once you have that feeling, once you recognize it, do whatever it takes to get yourself into that emotional state as often as possible. Remember, the more time you spend in that emotional state, or vibration, the sooner your goal will arrive. Note: There’s a book by Rhonda Byrne and a movie, called The Secret. You may have read or seen it, you may have heard of the Law of Attraction. This law is not one of the seven principles we are discussing. Rather, the Law of Attraction fits within The Principle of Vibration. So if you have knowledge of this law, you can apply it to this Principle. 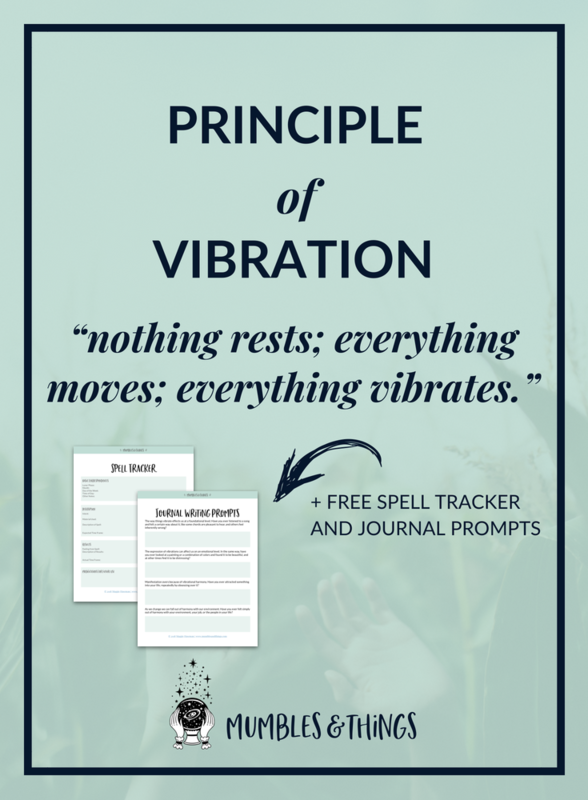 It is these Principles (mostly the Principle of Vibration) wrapped up in a pretty package.